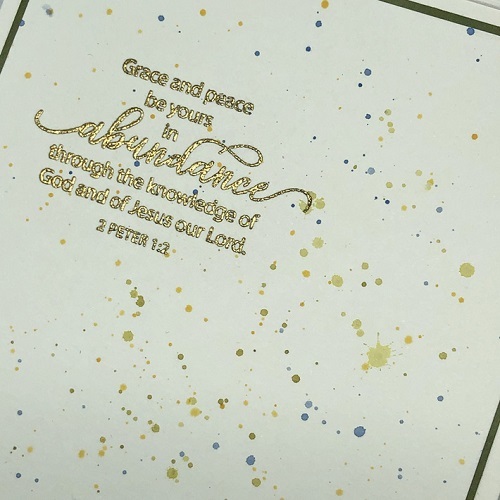 The printed paper is an ephemera card from Graphic 45, the Grace is stamped and gold embossed, the die cut cross itself is accented with Gelatos and Wink of Stella, topped off with one of Deb’s gorgeous floral clusters. As elaborate as this card looks, it’s truly an easy make. 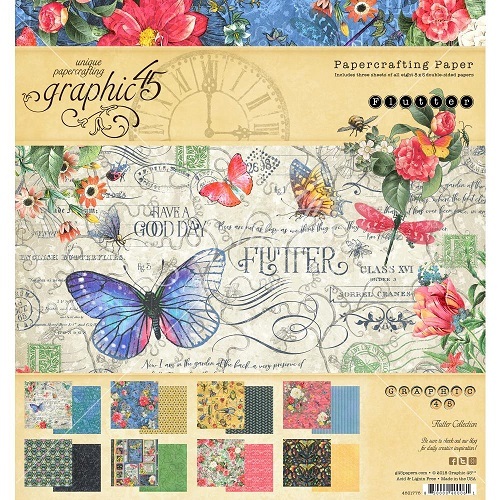 And if you prefer flat for mailing cards, envision this without the floral cluster – equally as lovely! Here’s an up close look. 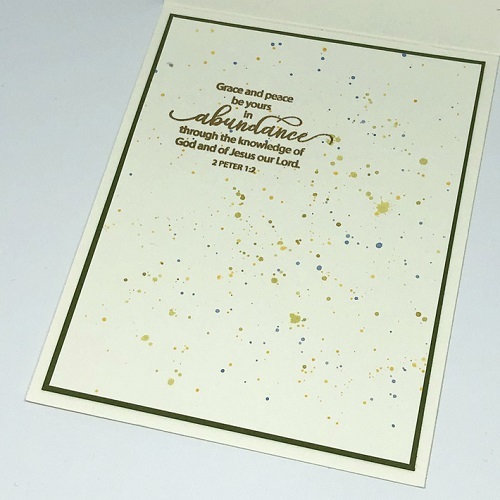 The splatters Deb added are from her Oxide Inks and Gelatos. Deb’s signature floral clusters include seam binding, tulle and burlap string. She most often frays the tulle to make it look a bit more tattered and vintage. Deb carries the splatters through to the card inside. The inside sentiment is also gold embossed. Here is the scripture used inside. Lovely words of encouragement to send at any time of the year! 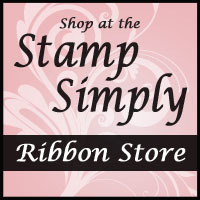 Stamps: Grace by Stamp Simply Clear Stamps – NEW! 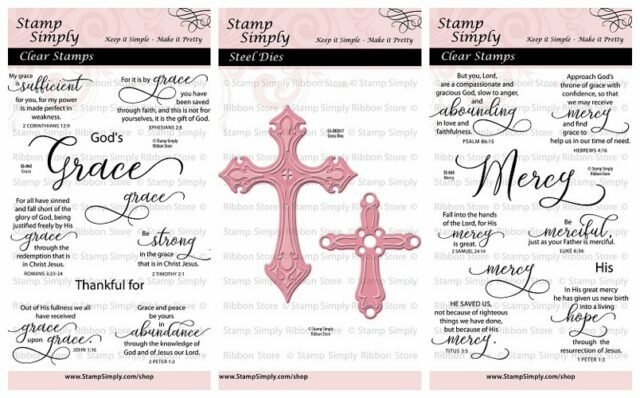 Dies: Crosses by Stamp Simply Clear Stamps – NEW! Tim Holtz Distress Oxide Ink – Forest Moss, Faded Jeans – REDUCED! Gelatos – Colors and Clear Stamp Neutral – REDUCED! 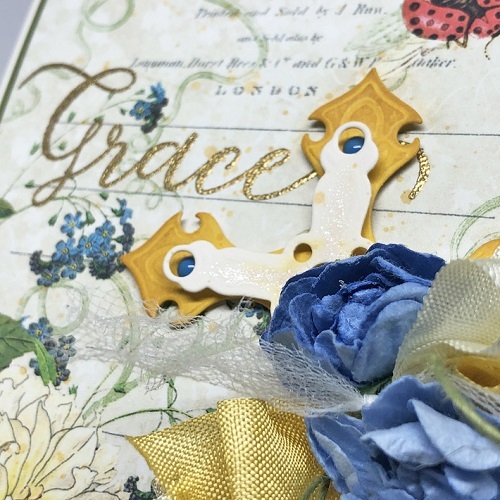 Today Deb used the Crosses die set and the Grace stamp set. 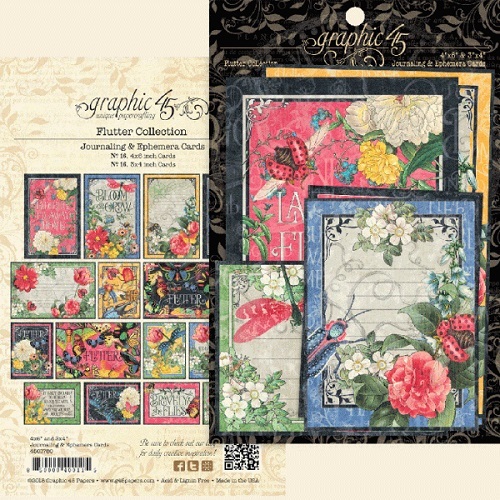 Find ALL Graphic 45 in stock here – MUCH is reduced!!! Thank you for joining us today and we hope you join us again tomorrow.